Mr. McWilliams, is the managing shareholder of Melvin S McWilliams PC, which represents clients in a variety of areas with an emphasis on general business, employment and labor, real estate, estate planning, personal injury matters, and the representation of public bodies including public school academies. Mr. McWilliams was also for several years a shareholder with Howard & Howard Attorneys, PC. Prior to 1996, Mr. McWilliams served as Chief Assistant City Attorney for the City of Lansing where he was actively involved in the management of the City of Lansing's legal affairs, including supervision of legal staff and litigation involving employment and labor disputes, zoning and nuisance disputes, police liability claims, and construction disputes. Mr. McWilliams also drafted and reviewed proposed ordinances and contracts, authored numerous opinions, and represented the City Attorney at public and community meetings and serving as a spokesperson on a variety of legal matters. He has also held the positions of Supervising Attorney with the UAW-GM Legal Services Plan, and of Assistant City Attorney with the City of Jackson, Michigan. Mr. McWilliams received a BA degree from Kalamazoo College in 1972 and a JD degree from Valparaiso University School of Law in 1976. He is admitted to all state courts of Michigan, the United States Courts for the Eastern and Western Districts of Michigan, the United States Court of Appeals for the Sixth Circuit, and the United States Supreme Court. 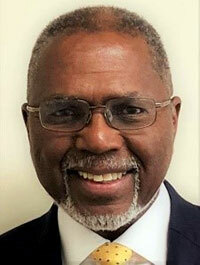 Mr. McWilliams is a member of the State Bar of Michigan (its Probate and Estate Planning Section, its Real Property Law Section, and its Elderly Law & Disability Rights Section). Mr. McWilliams has served on and chaired the State Bar of Michigan's District Panel for the Character and Fitness Committee. Mr. McWilliams is a member of the National Bar Association (its Commercial Law Section); a member of the American Bar Association (its Solo, Small Firm & General Practice Division); a member of the Ingham County Bar Association (a member of its Probate & Trust Law Section, it’s Real Estate Law Section, and its Employment & Labor Law Section); and is a member of the Davis-Dunnings Bar Association (a former past President and Treasurer of its predecessor, the Lansing Black Lawyers Association). Mr. McWilliams, among other honors, was the recipient of the Distinguished Barrister Award from the Davis-Dunning's Bar Association in 2016.